Are you interested in purchasing a home and just need more information on where to start? Income: Do you have a reliable source of income to make monthly payments? Credit history: What is the probability that you WILL pay those payments on time? Available funds: Do you have enough money for a down payment? Property: What is the market value of the property you’re interested in? Buying a home is a goal many people would like to accomplish, and there are many ways to finance this goal. Obtaining a traditional mortgage, renting to own, and finding owner financing are three of the most common methods of financing a home. Which one is right for you? 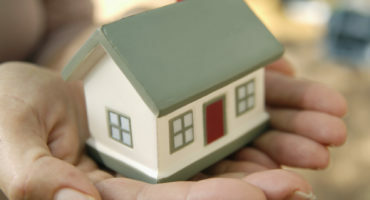 A traditional home loan is the most common type of financing in real estate. These loans usually have strict lending requirements, including credit score and income amounts. They also require a sizable down payment, usually 3.5 - 20%. Various federal programs exist to help you if you don’t quite meet the bank’s requirements for a conventional loan. FHA, USDA, and VA loans have less stringent credit requirements, and also allow for smaller down payments. The catch is that most of them charge annual funding fees and mortgage insurance premiums, which are added to your monthly payments. Traditional mortgages are generally ideal for home buyers with average or above-average credit scores. Renting-to-own your home entails an agreement between you and your landlord, which specifies a set period of time you will rent the house before agreeing to purchase it, usually between two and five years. During that time, a portion of your rent is set aside to put towards your down payment when it is time to buy. This option is particularly advantageous for potential buyers with little or poor credit, and also benefits homeowners who are having difficulty selling their house. However, be aware that you most likely will not receive a refund of cash if you pull out of the contract. Also check with a lender about mortgage qualifications to make sure you will be eligible by the time you are ready to take out the home loan. Owner financing allows buyers to purchase the home directly from the seller to avoid qualifying for a mortgage with a financial institution. While this is a less common financing scenario, it can be beneficial to both parties involved. As a buyer, you can purchase a home when you otherwise might not be able to due to your credit history. 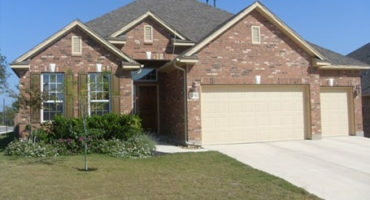 The seller often charges a higher interest rate than a bank would to compensate for the borrower’s credit. This is generally a much better return on investment than if they simply received the payment in full and put the money into a savings account or the stock market.